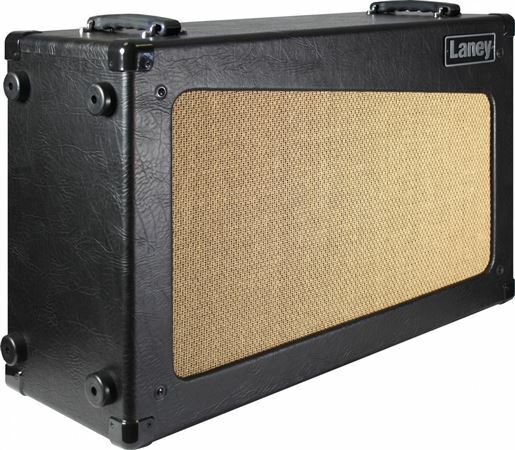 Shop Laney CubCab 2x12 Guitar Speaker Cabinet from AMS with 0% Interest Payment Plans and Free Shipping. 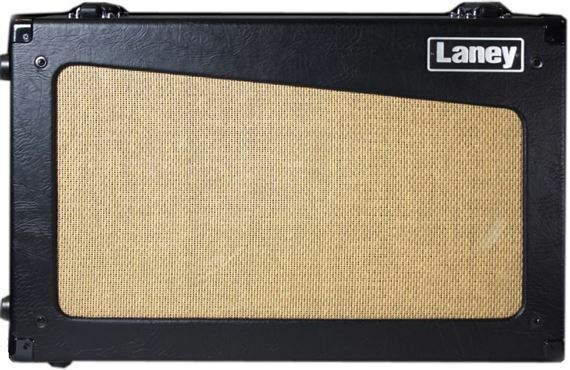 The Laney Cub Cab is an open backed speaker cabinet which houses a pair of specially designed 12” HH drivers which give you a really nice clear mid range. Finished in the same chocolate brown cosmetic as the rest of the cub range the Cub Cab is multi positional meaning it can be used in a portrait orientation as well as the more common landscape layout(side or vertical position). Got this to pair with my 18w tubemeister. Great tone very pleased. Very nice cabinet has a cool looking vibe. I was really surprised how good the speakers that came in this sound. I was going to put in different speakers since I figured the ones that came with it would not be satisfactory. I have two heads a Mesa Boogie Transatlantic 15 and Quilter MicroPro Mach 2. Very pleased with this cabinet. For the money, the cab is solid, and the speakers are pretty decent. I bought this with the intention to, actually replace the speakers. It was going to be a few days of the stock ones, then switch them out, however, the speakers aren't bad at all. Two months later stock speakers are still in. I pair this with a JCM 800 clone, and it moves some air. Nice rock/pop punk/hard rock/classic rock sound. Even gets pretty nice clean tones resonating through it. I'd say it's the best cab you can get in the $200-400 range before you go to real Celestions or Eminences. I bought The Cub 12R and this cab and it's my 14th amp. This cab is a steal at the price it's offered at. It shipped to me in perfect condition. The gain is immense on the Cub amp and the cab handles and projects sound extremely well. Not quite a month. Not gigged yet. So unknown but looks like it would be average. Very nice product for the money. Not a Better Cab- Especially for the money!!! I've read some negative feedback on the silverback celestions. I'm not sure what these players are hearing. To me, the tone is excellent for several playing styles. Very robust, great mids and bass response, each note, especially high notes articulate perfectly with both clean and distortion channels. For you young players out there, so much of your sound/tone is produced by your playing style and your hands! You read many of these reviews and they often contain so many subjective opinions that may or may not apply to your individual style and requirements. These reviews also seem to include aspects about the tonality of the product that are so remote and unimportant that most people in the audience cannot discern anyhow!.. Purchase what works for you and more importantly, what you can afford. This cab fits the bill!!! LOVE IT, I WILL PROBABLY BUY ANOTHER ONE. SOUNDS GREAT AS AN EXT. CAB. FOR MY FENDER STAGE 112. LIKE IT WAS MADE FOR IT. GREAT MIDS., AND BASS AT MODERATE VOLUME, HIGHS SPARKLE. THE CHOCOLATE BROWN TOLEX MAKES MY WHOLE RIG LOOK VINTAGE.